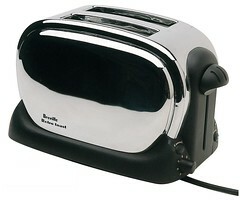 The Breville® Classic Toaster 2™ – The retro toaster with an elegant twist. The chrome design with adjustable browning control and extra wide slots is the perfect addition to any counter top. C. Cord Storage. D. 6 Setting Browning Control. E. Cancel Button. F. Frozen Button. G. Reheat Button. H. Extra Lift Lever. I. 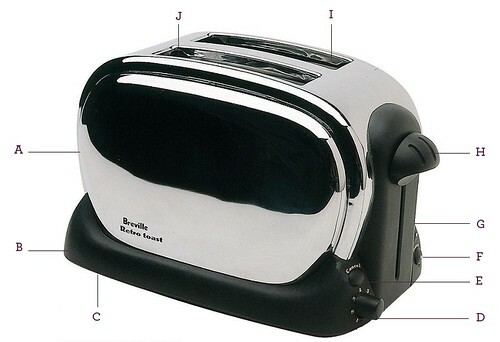 Extra Wide Toasting Slots.` J. Self-Centering Carriage.